After receiving an experimental emergency vaccine, a doctor from the US who had received a needle stick injury, and so put at high risk of infection while working in an Ebola treatment unit in Sierra Leone, has been found clear of the virus. The physician, given the vaccine 43 hours after the needle stick injury, went on to show a clinical syndrome "consistent with vaccination response, and no evidence of Ebola virus infection was detected." Known as VSVΔG-ZEBOV, the treatment was injected into the doctor-patient's muscle as he was boarded onto a flight back to the US. • By day 7, all symptoms completely gone. 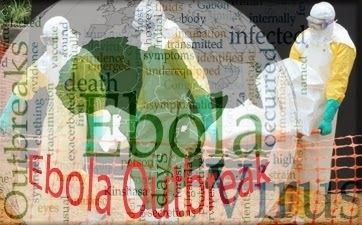 Throughout, lab tests also took regular measures of the patient's immune cell, antibody and protein levels - "strong innate and Ebola-specific adaptive immune responses were detected after vaccination," the researchers found. The 44-year-old American doctor had received his injury when placing a needle into a sharps bin - it "inadvertently punctured two layers of gloves and caused bleeding of the left thumb." The needle "had just been in direct contact with severely ill Ebola patients" and the exposure was estimated to pose a significant risk of infection for the doctor. "Importantly, no evidence of Ebola virus infection was detected, and the vaccine elicited strong innate and Ebola virus-specific adaptive immune responses." "Most significantly," Dr. Geisbert adds, the vaccine gave an immune response in the patient at a level that had been shown in tests on primates to confer protection against the virus. 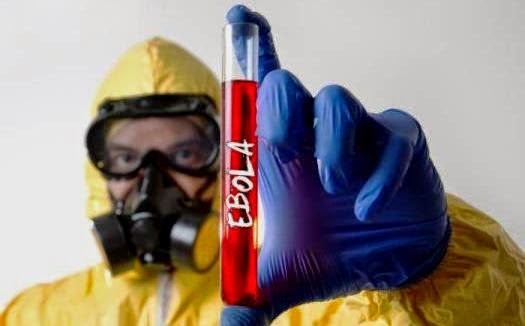 Laboratory tests on the doctor showed the vaccine expressed the surface glycoprotein of the Ebola virus, which was able to induce a "sufficient level" of a certain type of antibody response to the glycoprotein. "Although it is not possible to know with absolute certainty" whether the vaccine used to treat this single case of "potential high-risk exposure" had any influence on the patient's survival, Dr. Geisbert says, "this incident serves as an example of how important it is to have safe and effective countermeasures available in sufficient quantities that can be rapidly deployed for emergency use for both medical workers and affected populations." A number of vaccines and postexposure treatments have made "substantial progress" in animal studies, but advancement of these for human use "is a matter of utmost urgency," Dr. Geisbert adds - none is yet licensed for use in people. This is just the second time a person has been given VSVΔG-ZEBOV for postexposure treatment; its first use in a human was in 2009 for an Ebola lab worker. The authors of the present case study - Dr. Mark Mulligan of Emory University in Atlanta, GA, and colleagues - note, however, that four early-phase clinical trials were started in 2014 - although the results are as-yet secret. The authors also cite a trial that has just begun in Liberia, with enough promise from this confidential information to investigate the vaccine for use in pre-exposure prevention of Ebola - aiming, that is, to protect people who have not been infected with the virus but are at risk. The authors say there are unknowns in the physician's case that will need to be considered for future experimental treatment. "In the current patient, a self-limited, moderate to severe clinical syndrome began at 12 hours postvaccination." "Future decision making about using this experimental vaccine for postexposure vaccination will need to balance the risks of harm from the vaccine or possible Ebola infection (both were unknowns at the time of the patient's exposure) against the possible benefit of vaccination (also unknown at the time of the patient's treatment)." At the end of January, the World Health Organization said the Ebola fight 'had shifted to ending the epidemic' in the West African countries affected.